Today is my mom's birthday. She would have been 72 years old today. 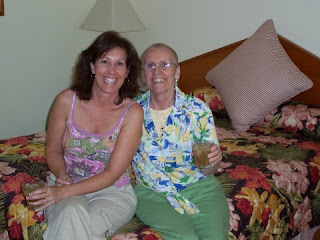 As I write this post, I am overwhelmed by how much I miss her. But now I am looking out the window to my backyard and there on the bird feeder is the first goldfinch of the season - bright yellow and just sitting there. He's not flying back and forth, darting from tree to tree the way goldfinches normally do. He seems to be sitting there for me to notice him. My mom loved goldfinches. Seeing him there brings a smile to my face. I love you, Mom. I miss you every single day but I know you are always with me.